This entry was posted by Anne Reith on March 8, 2013 . In the Pacific Time Zone, the New Moon will occur at 12:52 p.m. on Monday, March 11. This New Moon finds the Moon and Sun in conjunction (0°) at 22° of Pisces. To further clarify how this New Moon will impact you on a personal level, locate 22° of Pisces in your birth/natal chart. The issues associated with that house are going to be most affected by this New Moon’s presence. The next two weeks are clearly divided between (1) our energy being directed inward for the first week and (b) our energy being directed outward during the second week. Starting off this period of time is the New Moon in Pisces. All New Moons provide us with an opportunity for a new emotional start and to set new intentions regarding the sign involved. And with this New Moon, not only are the Sun and Moon in Pisces, but so, too, are Mercury, Venus, Neptune, and Chiron. With so much energy in Pisces, it’s not surprising that many of us are feeling a need to turn inward. This is an exceptionally powerful time! A time when we may experience profound insights, deep healing, and major shifts in consciousness. This is a time to plant seeds of imagination, faith, and higher purpose. Pisces is the 12th and final sign in the Zodiac. It represents our relationship with the Divine. We are being asked to look beyond logic and the limits of the mind and to explore the mysteries of emotions and intuition. This is a world that is hard to put into words, but it can be felt very strongly! We are being asked to accept that we are multidimensional beings and to recognize that nothing is solid and everything is interconnected. One useful analogy often used when talking about Piscean energy is the symbol of water. We are all like that water. Water comes in many forms (e.g., liquid, steam, frozen), and we come in many forms, too. We can be a drop of water that represents the individual expression of God/Source energy, but we can never be truly separate because we are all forms of that same water. And like emotions, water can be calm, stormy, and everything in between. We are sometimes misty, swamped or even lost at sea. And when the fog rolls in, it is best to use our intuition to find our way. Like all signs in the Zodiac, Piscean energy can come out “sideways” if blocked. If not expressed in a healthy way, then the lower expression of this energy can manifest in the form of addictions and escapism of all kinds. We can feel the victims of our circumstances. When feeling disempowered, we may seek out something or someone who will “rescue” or “save” us. Unfortunately, when we rely on someone else to guide the ship, this often leads to not trusting our own intuition and internal guidance system, which often causes our boat to go off course. What are healthy ways to avoid these lower expressions of Piscean energy? This is a wonderful time to meditate, pray, read uplifting/spiritual material, engage your intuition, and pursue psychotherapy or in-depth work with your unconscious, including working with your dreams. Engage in healing activities or practices. Spend time doing what you love and what brings you a sense of inner peace. It is also a great time to engage in creative activities such as art, music, dance, or writing/journaling. Above all, follow your intuition. Because Venus is nearby when the New Moon occurs, there may be a noticeable increase in romantic feelings, a desire to engage in artistic endeavors, and an increase in the social graces. Tenderness in our relationships will help heal the individual and the collective. We may also clearly see the benefit of adopting or deepening a spiritual practice. Around the time of the New Moon in Pisces, a slow-moving sextile (60°) will occur between Saturn and Pluto. Although exact on Friday, March 8, its impact will be felt for several days before and after this date. This same aspect occurred on December 26, 2012, and it will occur again on September 20, 2013. During this second phase of this strong but subtle alignment, we will find that essential parts of our plans will be solidified while we easily allow unessential or peripheral pieces to fall away. We will also have the discipline needed to eliminate any undesirable habits and the maturity to handle any transformations we need to go through. 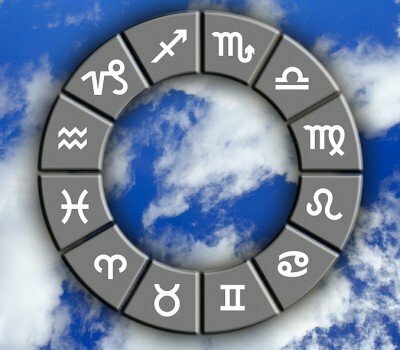 But the impending winds of change are evident even on the day of the New Moon (Monday, March 11) when Mars moves out of watery Pisces and into fiery Aries. Mars is the home sign of Aries, so the expression of its energy is easier in Aries than it was in Pisces. We may feel a strong urge to begin projects now, but you might want to wait for a few days. Instead, use the strong presence of the Piscean energy to help temporarily dampen the energy of Mars in Aries energy until other planetary alignments will better support your endeavors. And you don’t have to wait long for this! First, on Sunday, March 17, Mercury begins moving direct again, which will gradually find us beginning the process of expressing all those internal thoughts that have been brewing for three weeks. Then on Wednesday, March 20, the Sun moves out of Pisces and into Aries. This date not only represents the change of seasons, but it also represents a new astrological year. For some, it is believed that this is the best time of year to start new projects due to the enthusiasm and energy provided by the Aries Sun. And we may, in fact, feel like a dam has finally burst now that we are moving out of all the watery Piscean energy. Many will feel ready to be pioneers exploring new territories. We can now use the Sun in Aries to effectively guide the energy of Mars in Aries, so full steam ahead! And on Thursday, March 21, Venus follows the Sun and Mars into Aries, which will find us seeking out social connections and pleasure in new and exciting places. The very next day (Friday, March 22), though, Mars and Uranus meet up in a conjunction (0°), which could cause surprises, eruptions, and even explosions of all kinds . . . both the good kind and the not-so-good kind. With Uranus in the mix, we may not see the event coming. But as with all Uranus aspects, the only real danger is resisting the change that is bringing brought into our lives. We need to recognize it as something meant to help us grow and evolve. This aspect will provide us with original insights, the confidence we need to overcome obstacles, and the energy to resist compromising on important points. Overall, this next week is a time when we are being given an opportunity to complete the inner work that will provide the foundation for the new and exciting energy that is about to enter our lives. Don’t rush the process. Use this internally-directed week to bring the sacred into every area of your life. Listen deeply for messages from your heart, your guides, and your soul. And when the energy begins to shift around the 17th of March, don’t resist it. Use the Sun, Mars, and Venus in Aries to provide you with the energy and enthusiasm to start going after those ideas that you’ve been sitting on while Mercury was in retrograde. And we’ll talk more about those changes in the next Moon Update. For now, remember, “We know only too well that what we are doing is nothing more than a drop in the ocean. But if the drop were not there, the ocean would be missing something” (Mother Teresa).